Disapproving of the BJP's behaviour in Parliament and its propaganda tactics, a combative Congress president Sonia Gandhi on Tuesday asked the party to “stand up and fight aggressively“ against the Opposition. “We have many achievements. We have nothing to feel defensive about. We are ready to face the challenges before us. We will not be deflected by the intemperate Congressbashing by the Opposition. Let us stand up and fight, fight with a sense of purpose and fight aggressively,“ Mrs Gandhi appealed. Addressing the general body meeting of the Congress Parliamentary Party, she said the BJP's attitude of “our way or no way“ makes a mockery of the vision of India's founding fathers and the constitutional framework. 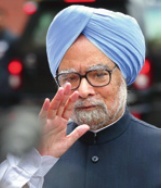 The government is in no mood to placate the Opposition, which is trying to turn “Coalgate” into another Bofors, and categorically rejected its demand for Prime Minister Manmohan Singh’s resignation on the issue. Both Houses of Parliament were adjourned for the day on Tuesday following an uproar on the demand of the Opposition, led by the BJP for Dr Singh’s resignation over the Comptroller and Auditor General’s report on coal block allocations. The CAG report tabled in Parliament recently claimed there was an estimated loss of `1.86 lakh crore in allocation of coal blocks between 2004 and 2009. Parliamentary affairs minister Pawan Kumar Bansal said on Tuesday that the Opposition’s demand was “preposterous and baseless” and that the BJP was “trying to make an issue out of nothing”. they will not dilute their demand. 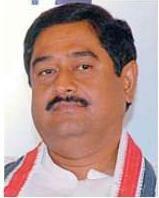 The Congress High Command has started consulting the Chief Minister, Mr N. Kiran Kumar Reddy and PCC chief, Mr Botsa Satyanarayana, on steps to be taken in the wake of the roads and buildings minister Dharmana Prasada Rao submitting his resignation following the CBI’s chargesheet against him in the Jagan Mohan Reddy illegal investments case. The PCC chief Botsa has left for Delhi on Monday to have one-on-one meetings with party leaders. Dharmana’s resignation is not the only issue, said a source. 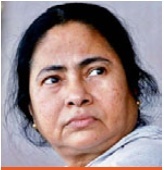 “The High Command is expected to look into the role of other ministers too who are yet to be named by the CBI,” said a source. The decision on Dharmana will be crucial, as it will send a signal to other ministers to follow suit if they are named. In a related development, 10 Cabinet ministers met at the residence of tourism minister Vatti Vasanth Kumar on Monday night. Union finance minister P.Chidambaram, who had given the nation a “Dream Budget” in the 1990s, is now taking swift measures to counter the economic slowdown. He will meet top public sector bank chiefs on Saturday to review their non-performing assets, agricultural loans and credit to infrastructure sector. He has directed finance ministry officials to aggressively chalk out strategy to boost the economy and revive investor sentiments. Mr Chidambaram has already met the secretaries in charge of key infrastructure ministries, like power, roads and highways and petroleum, and urged them to step up the pace of work. Various power projects are stuck due to regulatory and supply side issues. There are also plans to revive the stock markets. ers to invest in India. The ministry is expected to unveil a path of fiscal consolidation shortly to reassure investors that India is serious about containing deficits. 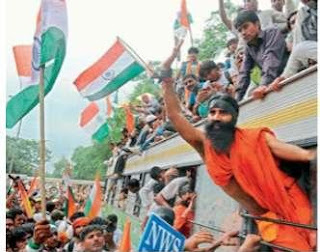 Opposition leaders flocked to share the dais with Baba Ramdev on Monday after the yoga teacher gave a call to oust the Congress. BJP chief Nitin Gadkari and NDA convenor Sharad Yadav joined the yoga guru at Ramlila Ground in the national capital on the issue of black money. “Congress hatao, desh bachao (Remove Congress, save the country),” the yoga teacher said. The government was “incapable of rooting out corruption and bringing back black money,” he said. Apart from Mr Gadkari and Mr Yadav, TD leader Nama Nageswara Rao and Akali Dal representatives also sat on the dais along with the yoga guru. While sources said that Ramdev had on Sunday night invited the Opposition leaders to the Ramlila Ground, the NDA leaders rushed to lend their support to the yoga teacher. India's Sushil Kumar advanced into the Olympic men's 66kg freestyle wrestling final after coming from behind in his last four clash in spectacular style on Sunday. 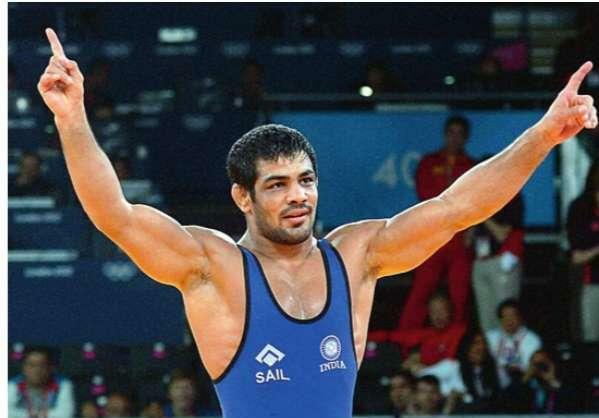 Victory means the 29-year-old, world champion in 2010, is guaranteed to improve on the bronze medal he won at the Beijing Games four years ago. Having won the first period against Akzhurek Tanatarov of Kazakhstan, Kumar saw his semi-final opponent level and then go 3-0 ahead in the third and final period. But Kumar countered with a hold down initially worth two points, which he converted into a three-point score to tie the match. And with 34 seconds left he'd edged 5-3 in front. Then, with just seconds of the contest remaining, Kumar sealed victory with a huge throw that saw him dump Tanatarov onto the mat. Now he will face Japan's Tatsuhiro Yonemistu in the final later on Sunday. Kumar had a tough start to his London 2012 campaign, beating 2008 gold medallist Ramazan Sahin of Turkey 3-1. The Indian hockey team's dismal performance at the London Olympics was an unexpected result which none of us could have anticipated. With Michael Nobbs at the helm, I thought this was a step towards building a good team and expected them to play at least for the 5-6th places. But after watching their first match against the Dutch, I had my doubts. The lack of a potent forward line was visible in that match which became our bane at these Games as we went on to lose all our group stage games. It's a shame that we lost so badly after getting a chance to play at these Olympics since our last appearance in 2004. After such a beating, I would say that Indian hockey has hit the nadir and will have to start from zero. The other problem area I observed was that we focused on playing defensive hockey. We opted for those tricks of European hockey that are good for them, but not for us. We stopped finding, grooming and fine-tuning a breed of attacking players, opportunists and schemers. And the result is in front of our eyes in the form of this debacle. Let me also say that these shortcomings have not surfaced right now. For me, the alarm bells rang when we lost 0-8 to Australia in the final of the Commonwealth Games in Games in 2010. We s h o u l d have overcome the deficiencies. But we have gotten our selves into the habit of hype. We win tournaments featuring two to four teams and play it up. And the world thinks these are the best players when it's not so. Another area of concern for me is the selection of players. I fail to understand the continuous entry and exit of players like Rajpal Singh, Prabjot Singh and Deepak Thakur. The selectors also need to answer why a mediocre player like Sandeep Singh is in the squad and why Ignace Tirkey and Gurwinder Singh Chandi have been included at the last minute. In a rare show of combativeness, Congress president Sonia Gandhi on Wednesday led the UPA attack in the Lok Sabha against senior BJP leader L.K. 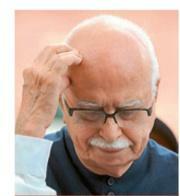 Advani, who earlier described UPA II as “illegitimate”. Mr Advani, initiating the debate on the adjournment motion on the Assam ethnic violence, said: “In 2004, the UPA I was formed after winning the election, so it was a legitimate government. 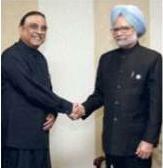 But UPA II is an illegitimate government.” At this, UPA members were on their feet demanding an apology from Mr Advani. 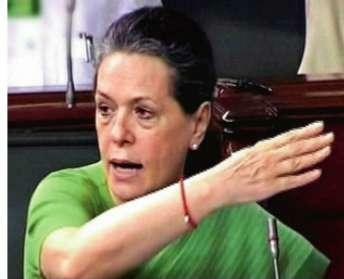 A visibly angry Mrs Gandhi led the protest, asking UPA MPs to stand up and prevent Mr Advani from continuing. 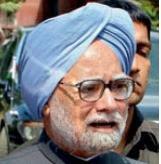 Prime Minister Manmohan Singh also described Mr Advani’s remark as “disgraceful and unfortunate”. The House was locked in uproar as BJP members launched a counter-attack but Mrs Gandhi had one simple demand. “Withdraw, withdraw one word, withdraw,” she said signalling the whole matter could be resolved. Incumbent Hamid Ansari, the UPA’s candidate, was re-elected vice-president on Tuesday, beating NDA nominee Jaswant Singh by a large margin of 252 votes. Mr Ansari, 75, a former diplomat, becomes the second person after Sarvapalli Radhakrishnan, India’s first vice-president (and second President), to get two terms in the second highest office. Out of the 736 votes polled on Tuesday, Mr Ansari got 490 votes against Mr Singh’s 238. Eight votes were declared invalid. Altogether 787 members of two Houses of the Parliament were eligible to vote. Mr Ansari, a Padma Shri recipient and former vicechancellor of the Aligarh Muslim University, was a surprise choice for vicepresident in 2007, proposed by the Left, which was then giving outside support to the UPA government. The Left had no problem supporting him this time as well. Among those who refrained from voting were ailing Union minister Vilasrao Deshmukh, admitted to a Chennai hospital, and BJP’s Shatrughan Sinha, recovering from surgery, besides 21 BJD members, 11 from the Telugu Desam and six from the Congress and supporting parties. In a bid to reverse the downturn in the economy and give fillip to investment, new finance minister P. Chidambaram on Monday unveiled a roadmap to fine-tune existing policies. In a statement, he indicated to put in place a stable and non-adversarial tax regime, a possible cut in interest rates and measures to attract domestic savings and foreign capital. Reversing the recent policy initiatives, the finance minister has directed a review of tax provisions that have a retrospective effect in order to find a fair and reasonable solution to pending as well as likely disputes between the tax department and assessees concerned. 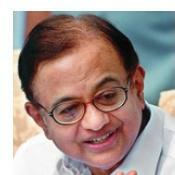 Mr Chidambaram, who took charge of the finance ministry last week, also made an obvious reference to recent controversies over retrospective amendment to the Income Tax Act and GAAR (General Anti Avoidance Rules) provisions in the Budget for 201213. “Clarity in tax laws, a stable tax regime, a non-adversarial tax administration, a fair mechanism for dispute resolution as well as an independent judiciary will provide great assurance to investors. We will take corrective measures wherever necessary,“ the statement said, adding that the government would work closely with the RBI to moderate inflation in the medium term. Saina Nehwal on Thursday created history by becoming the first Indian shuttler to reach the semifinals of the Olympics but it was curtains for Parupalli Kashyap at the London Games. Fourth seeded Saina relied on a fine blend of attack and defence to prevail over fifth seeded Tine Baun of Denmark 21-15 2220 in a 39-minute women's singles match to keep her medal hopes alive here. The 22-year-old will now take on World No. 1 Yihan Wang of China in the semifinals; one whom she hasn't beaten once in last five encounters. “I'm so happy as it's one of my dreams to play in the Olympic semifinals. Last time in the quarterfinals of the Olympics, I was 11-3 up...“ Saina said after the match. “It is a dream come true for me and I'm so, so happy. I really, really can't believe it,“ she added. Maharashtra Home Minister R.R. Patil on Thursday said investigating agencies were probing all angles to determine whether any terror outfit was behind the low intensity serial bomb blasts that rocked the city last night. 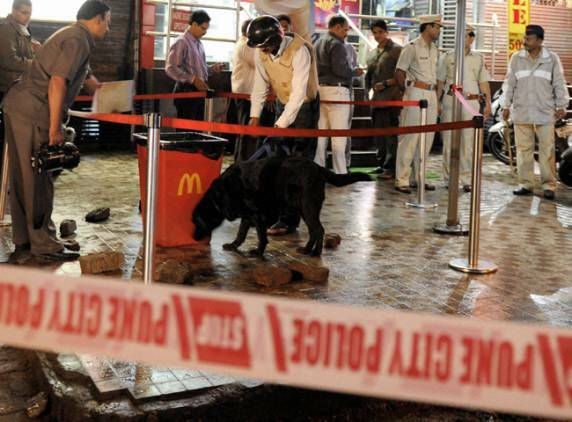 "Whether it was a terrorist act or not will be determined only after proper investigations are carried out by Maharashtra ATS, city crime branch and central agencies," Patil told reporters after visiting the four blast sites on J.M. Road here. Four coordinated low-intensity explosions struck the busy arterial J.M. Road in the heart of Pune on Wednesday night. 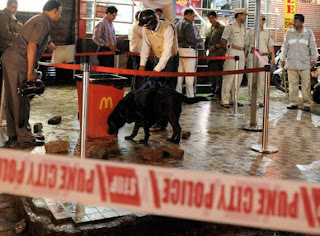 The explosions occurred at Jangli Maharaj(JM) road at spots near Balgandharva Theatre, Dena Bank branch, a McDonald food outlet and Garware Bridge. Asked whether there could be a 'saffron terror' angle to the incident, he said, "All angles are being probed and it will not be proper to comment at this stage." He said the person injured in one of the blasts-- near Bal Gandharva theatre -- was being treated for minor injuries. In a limited reshuffle of his Cabinet, necessitated by Mr Pranab Mukherjee’s exit from the government to become President, Prime Minister Manmohan Singh on Tuesday moved home minister P. Chidambaram to finance and replaced him with power minister Sushilkumar Shinde. Corporate affairs minister M. Veerappa Moily has been given additional charge of the power portfolio. Incidentally, Mr Chidambaram has been given the responsibility of finance at a time when the economy of the country faces one of its toughest moments, with growth showing a declining trend, and some decisions on tax issues creating a scare among foreign investors. Mr Chidambaram faces the triple challenge of restoring confidence among foreign investors, taming inflation and ensuring India returns to high economic growth.